Most owners don’t want an Obedience champion for a dog. They simply want their dog to come when they call. Or sit when they say “Sit.” To settle down and be calm. And get along with people and other dogs. 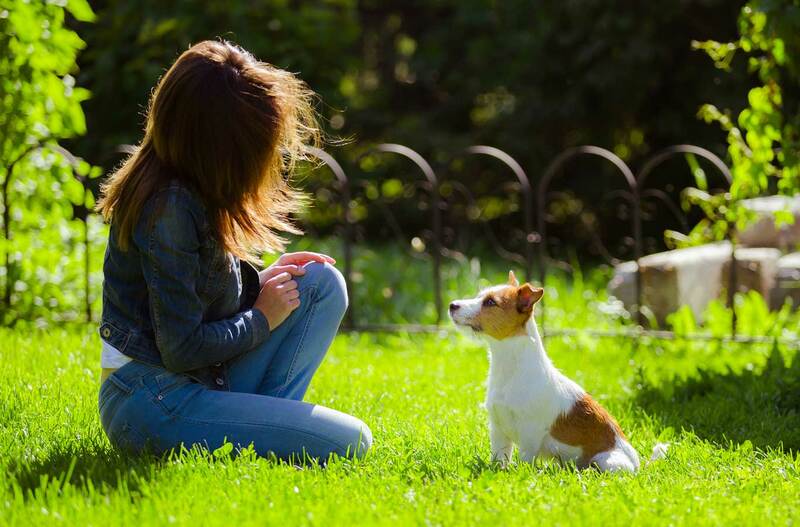 Most owners want a dog that is easy to deal with. Doesn’t chew or mess up in the house. No digging or biting. Or excessive barking. No destructiveness. No fighting with other dogs. We’ve worked with dogs that bite. People and other dogs. We’ve worked with dogs that are afraid. Of noises. Or people. Or skateboards. Or almost anything. We see nervous and hyperactive dogs. Dogs with house training issues and dogs with separation anxiety. We work with impolite dogs that jump on people and counters. She then dashed into the kitchen, jumped up on the counter and ran down the length of it. She leaped to the counter on the other side of the room. As she ran down it and out of the kitchen, the last thing her back paw hit was the burner control on the gas stove. And the flame came on. That’s when they called their vet, who then called me. Solving behavior problems in dogs is usually not about corrections. And it is not as simple as stopping unwanted behavior. Dogs left to their own devices are usually pretty well adjusted. It’s when humans and dogs interact that problems begin. What we do is get to the cause of the problem. Then we can create a solution that works. What Causes K9 Behavior Problems? Second, a lack of leadership on the part of owners. When the owner is not the clear leader and a dog has no structure (link to Obedience page), behavior problems result. Nala has more energy than 6 normal dogs combined! Ok, this might be an exaggeration. But not much of one. When you meet Nala, she gets so excited that she immediately starts to jump. You might say, “Big deal. Lots of dogs jump.” Nala weighs 70lbs and she is rock hard muscle. Like a cinder block. And when she jumps she can get 6 feet in the air from a standing start. Her favorite activity is to leap towards someone. Then while in the air, she twists her body. She then hits the person with her paws and pushes off into a 360 turn. She lands on her feet and then leaps again. And again. And again. She doesn’t stop. Corrections only serve to hype Nala up even more. Clearly, Nala paid no attention to her owner. It would be easy to correct her behavior and assume everything would work out. But that would be going against Nature. Nala’s owner did not have a leadership position in the relationship. But before that, Nala was too wound up to respond to anything. When we work with you we ask a lot of questions. We determine the cause of the problem. Then we develop the fix. The cause is simple. The fix is more complex. To get started fill out our intake form and let us know what’s going on with your dog’s behavior. We’ll get back to you as soon as possible and set up a no-cost Strategy/Discovery Session. In this session, we will determine your dog’s “issues.” And gather some key information about circumstances and environment. We’ll also gather information about the human component. Who interacts with your dog. And how. And the frequency. It takes work. But when you are a part of the change in your dog’s behavior, it’s gratifying work.